I do understand that its great that we can edit and delete old posts that we might once thought were cool but now are just embarrassing. 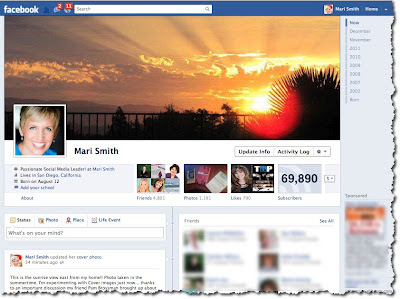 800 million people now have Facebook. That is scary stuff. I hope I have a bit longer with the old look - I will soon be ranting and raging if they change it when I am not expecting it.